While every company has different wants or needs during the hiring process, the underlying qualities of what makes certain candidates appealing generally don't change much. Put another way, whether you're hiring for the board room or the shop floor, interviewees that exhibit certain common qualities will often stand out. It may be natural to be nervous during a job interview, but if potential hires are spending a little too much time fidgeting, rambling and showing other telltale signs of nerves, that might be a sign that they're not the right person for the job, according to Resume Now. While some great candidates just may not interview well, it's important for any candidate to be able to communicate ideas quickly and easily, and project a confidence that they know what they're talking about. When a question is asked, people can ramble a bit simply due to nerves, but they might also do it to avoid answering the question in the first place. Hiring managers can certainly give a little leeway to job candidates in this regard, but they should always make sure the direct question they asked got a direct answer. If not, the candidate may have something to hide. A candidate can seem great for the position, but if their stated preferences for how they actually get their work done on a daily basis don't seem to mesh with how your business currently operates, that might not end up working out, according to The Balance. For instance, people who like to work on their own might not do well in a more collaborative environment, or vice versa. It's important for all involved to be honest about these issues, because hiring someone who's not a culture fit won't be productive for anybody. "Where do you see yourself in five years?" may be a common interview question, but it gets asked for a reason, according to Inc. magazine. Simply put, if people don't seem like they're going to stay in the job for at least a few years, hiring them might not be the best decision for the company. 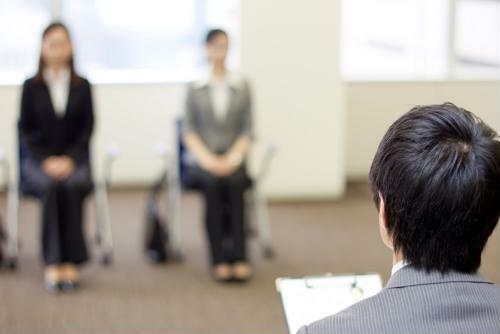 It can be helpful to ask tough questions during an interview, Inc. advised. That's because it may uncover some negative feelings about past jobs that can be explored further. While some people may have legitimate reasons to complain about old bosses and previous employers - which could impact the quality of their references - other gripes may actually just be an indicator that a person is difficult to work with. Regardless of how you move through the hiring process, it's important to make sure you're asking the kind of questions that get the most fruitful answers and inform better hiring decisions.